Congratulations R Dub! Really one of the hardest working and creative people in the biz! SAN DIEGO, CA – Local Media San Diego announces that the company has re-signed XHTZ & XHRM Program Director and Afternoon Personality R Dub! to a new, multi-year deal. R Dub! joined the stations in April of 2011. With the agreement, comes R Dub!’s new title of Supreme Commander (we’re serious), where he will continue to oversee the programming, strategy and branding of the company’s CHR, AC and Urban products. R Dub! said: “Apparently, I’m still foolin’ ‘em! No, seriously, I wake up every single day and pinch myself. I’m not only so fortunate to do radio in the country’s most desirable place to live, but I’m working with a company that truly believes in live, local and dynamic content! From our iconic brands and patented promotions like#EPIC48Hours, to the incredible pool of talent we have in the building—including Morton in the Morning and Jagger and Kristi—I’m so proud to play a small role in this incredible team, that is truly a family. Ops Manager Joe Lindsay hangs his head in disappointment as VP/GM Gregg Wolfson hands R Dub! his new contract. Fun fact: the location of this photo is at our Mexican transmitter site, across the border, in Tijuana, Baja California. 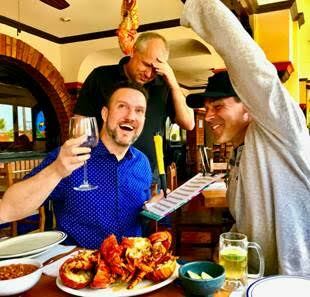 Ops Manager Joe Lindsay hangs his head in disappointment as VP/GM Gregg Wolfson dangles the carrot…err, lobster in front of R Dub!, as incentive to sign the paperwork. 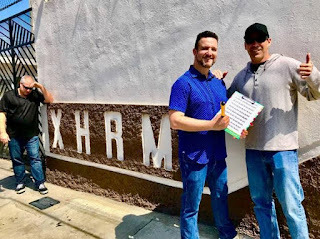 The group celebrated the occasion with a lobster lunch, just across the border from San Diego, in Puerto Nuevo, Mexico, near the stations’ Tijuana transmitters. 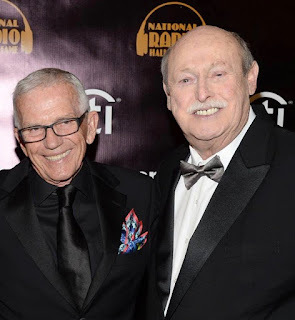 Z90 (XHTZ-FM), Magic 92.5 (XHRM-FM), and 91X (XTRA) is owned by Local Media San Diego, LLC; a San Diego-based broadcasting company backed by private equity firm, Thoma Bravo, LLC.